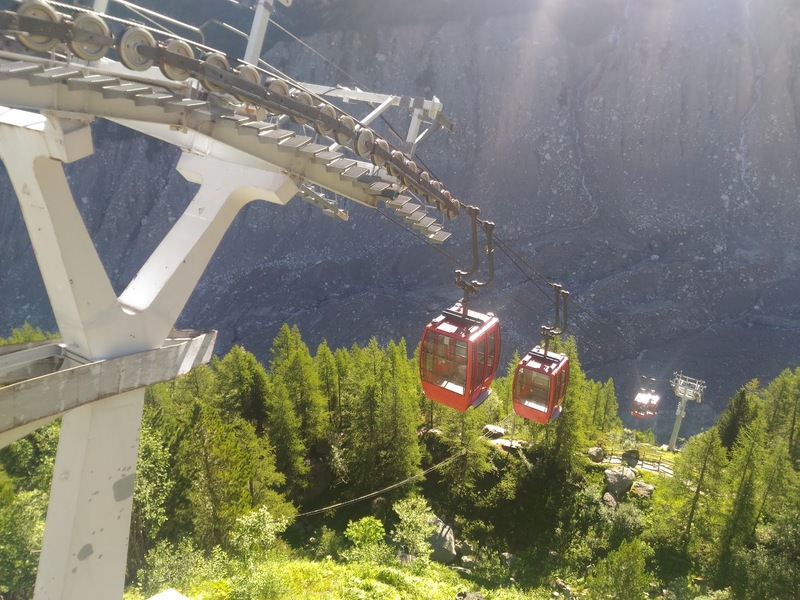 CHAMONIX FRANCE | After enjoying the summer sun at Lake Garda in Italy, we headed our way up to France. The scenery on our way there by road was so picturesque, especially when you started seeing the magnificent sight of the French Alps and what is even more amazing was to see those glaciers making their slow but icy progress through the high Alpine Valleys. 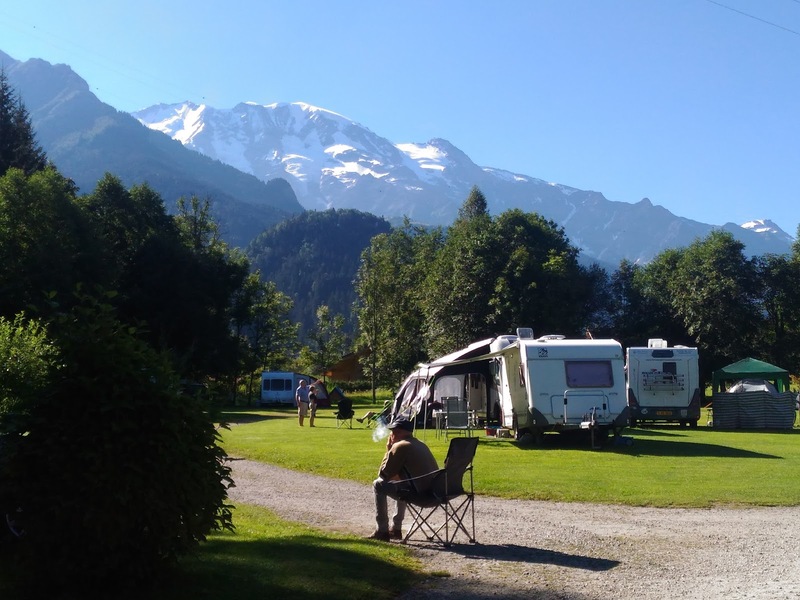 After driving through some beautiful French villages, we finally made it to our campsite which is LES DOMES DE MIAGE CAMPSITE in Saint Gervais Les Bains . This was to be be our home during our 3 days stay to explore Chamonix, France. The place was so peaceful and covered with so many trees. It was also raining a bit when we arrived but when it stopped, we immediately set up our tents and decided to chill for a bit. Since we were in the Alps, you could feel the sudden drop in the temperature. It was freezing! We dressed for the weather and covered ourselves with warm blankets while enjoying a spaghetti bolognese that we prepared. The next day, a Saturday morning, we moved quickly as our big expedition was to explore MER DE GLACE. The unique opportunity to not only view an Alpine Glacier up close but also to enter into one. But for you to explore the glaciers, you will first have to go to Chamonix and look for the CHERMINDE FUR DU MONTENVERS Railway station. When we arrived at the train station, there were so many people already queuing up to get tickets. And as for me, I just waited patiently for the train to arrive. I was so excited as this opportunity only comes once in our lives. When we heard the train coming, we immediately hopped on to it and the train started making its ascent. I couldn’t complain about the weather because it was just so perfect. Plus the chilly and cold air blowing down on face was just something I’ve always missed. We couldn’t believe everything. It almost felt like I was living the dream. The train kept on climbing and as we looked on the horizon, the view was just stunning. 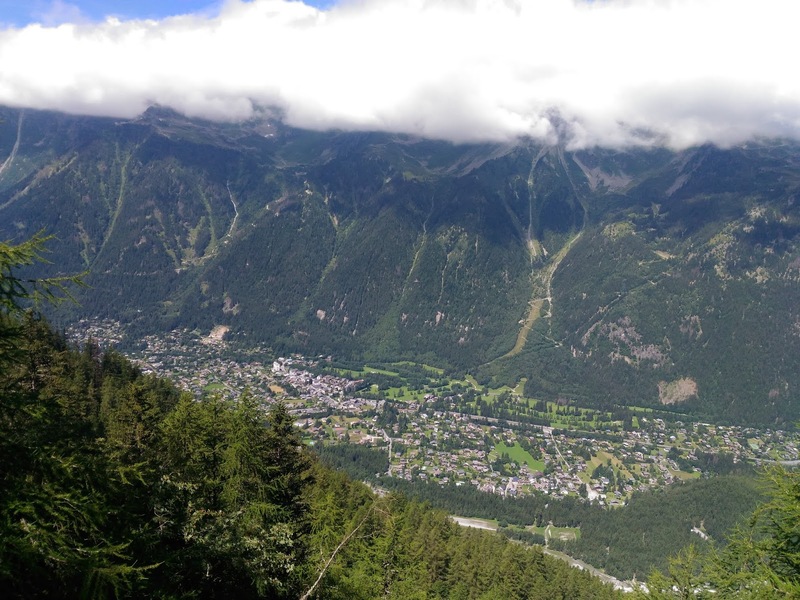 The view of Chamonix, France as we were climbing up to Montenvers. As we got closer and closer to Mer Da Glace, again the view was spectacular! 1913 meters above sea level, you will find the Montenvers Mer De Glace. When in Chamonix, this is the most visited destination in the area and now I know why. Restaurants and gift shops are also available here. With a short span of time, more and more people started to arrive. We were just lucky we left early. But the main reason why we were here was to see the glaciers. Other adventurers, also went much further for a hike on the glaciers. I wish I could do something like that in the future! After some cheese sandwiches, it was time for us to go down and explore the ice cave which they call Mer De Glace. So many people were in the queue but there were enough cable cars that bring tourists down the river of ice. The cable cars started to move and excitement was building as we are about to explore one of the most beautiful sites one could see. As we got out from the cable car ride, we had to climb further down to the glaciers. What you see behind me in this picture was basically ice glaciers that were formed millions of years ago. You can also see on the side that the glaciers is slowly melting. Back in 2003, the height of the glaciers was high up to where I was standing but at present, it’s just going lower and lower. As we drew closer to the ice cave, I was had mix emotions. I just couldn’t believe it is all happening. After months of planning, finally I was about to step inside a glacier. The entrance to the Mer De Glace. 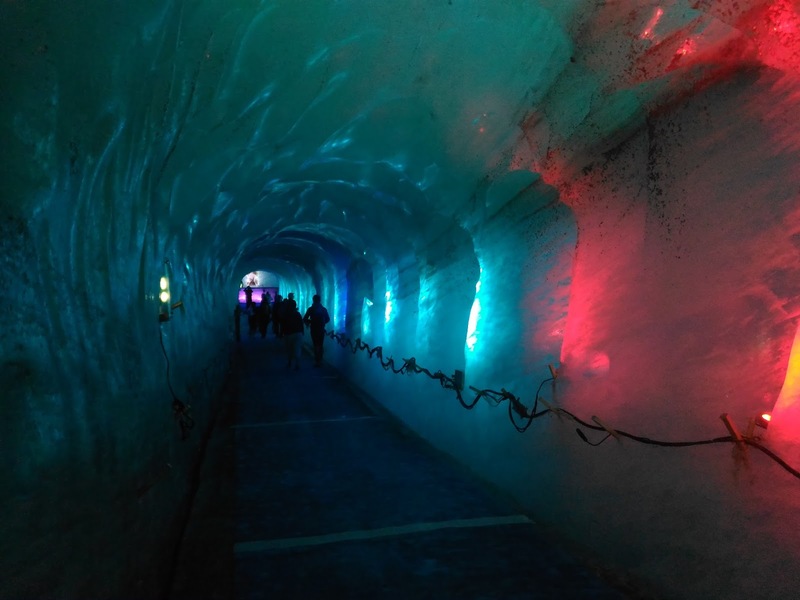 This tradition of carving an entrance into the glacier dates back to the 19th century. From above, it looks quite small, but when I was standing in front of the entrance cave, it was stunningly huge! As I was standing right in front of the entrance of the Ice Cave, I couldn’t believe that I was about to enter into a cave where I would be surrounded by ice formed naturally millions of years ago. 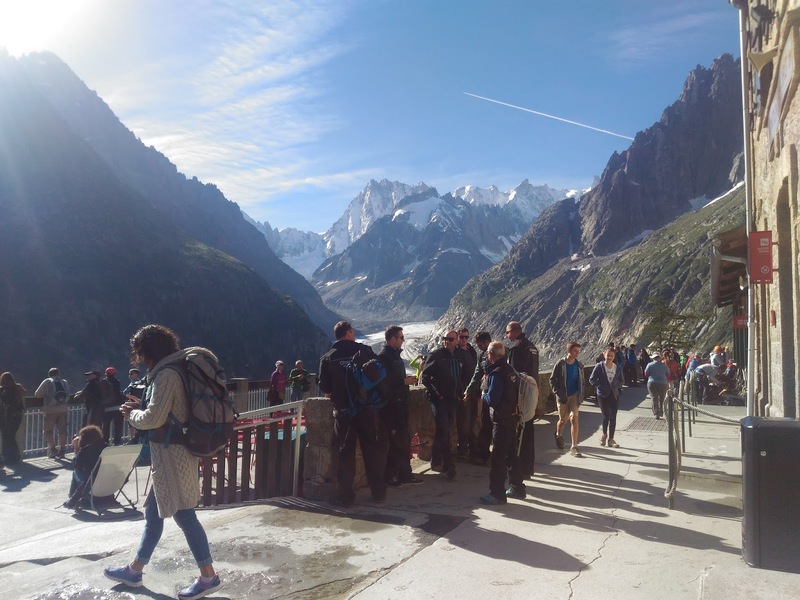 Entering the Mer De Glace takes you on a journey of a life time. Everything you see around you is made of ice. The luminous led lights add more dramatic effect to the whole ambiance of the place. Different ice sculptures can also be found inside. There may be a lot of people inside, but the cave was too big and it didn’t feel very cramped inside Mer De Glace. Mer De Glace was definitely a work of art and I consider this one of the wonders of the world. On the side of the wall, you can actually hear and feel the water still gushing down in the cracks of the ice. It was an eerie feeling but still a wonderful experience. Pictures were not enough to capture the grandeur and the pristine beauty of Mer De Glace. If only I could stop myself from blinking too much because of the freezing temperature inside. I went back in and around Mer De Glace over and over again just like a kid let loose. I don’t know when I will have an experience like that again that is why I was making the most out of it while I was in the moment. After our ascent by stairs and cable car, another must visit in Montenvers Mer De Glace was their Crystal Gallery. These crystals can be found around the Chamonix area. If only I could bring them home! On our way back to Chamonix, I looked back at this place asking myself if I was going to see a place like this again. The glaciers constantly moving and it is melting at a faster rate because of climate change. But I thank God for this opportunity of a life time! Montenvers Mer De Glace definitely was one of the major highlights during our European holiday. And I am sure you would see it as a highlight as well. So if you are looking for an experience of a lifetime in France, head to Chamonix and get ready to be blown away! Grabe sobrang ganda. Putting that on my bucket list. Thanks for sharing.